Home Run Derby competitor Will Powers, is pictured here waiting for a pitch. On Sunday, July 8, Sea Isle City’s Division of Recreation will host the 2018 Philadelphia Phillies Home Run Derby at Dealy Field, located at 59th Street and Central Avenue. 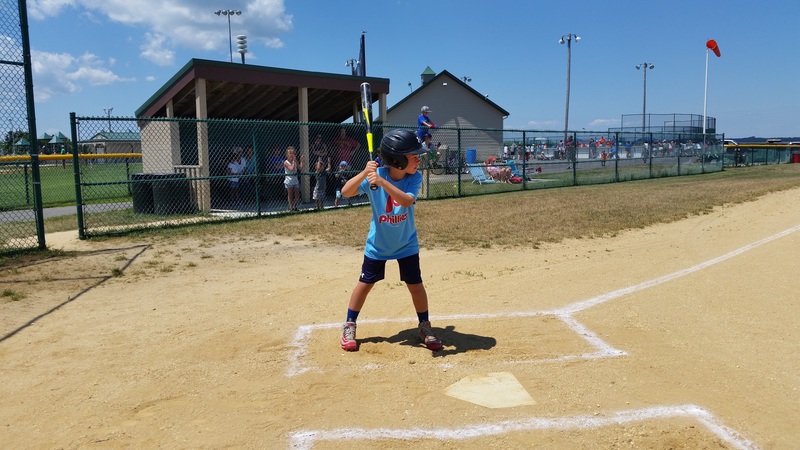 The annual baseball competition, which is open to boys and girls (ages 7-12), is a great opportunity for young athletes to display their batting skills – and win prizes. Registration for this free event will take place on the day of the Home Run Derby beginning at 10:30 a.m. for girls (age 7-12) and boys (age 9-10). Registration for boys (ages 7-8 and 11-12) will begin at 12:00 noon. During the Home Run Derby, participants will swing at balls thrown from an automatic pitching machine. Afterwards, prizes will be awarded by age and gender to the derby’s top performers. The winners of the July 8 Home Run Derby will have the opportunity to advance to the next level of competition – and hopefully also make it to the Championships later this year at Citizens Bank Park in Philadelphia.